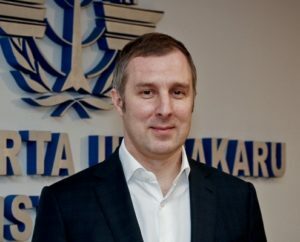 Aviationweek.com five-question interview with Bogdan Furundzhi, an accountable manager of APAC, about partnership with Canadian training company FlightPath International. Why did APAC partner with FlightPath International? How will this expand or benefit APAC’s technical training offerings? This partnership will allow us to offer training services for an almost unlimited number of different aircraft types. This will help APAC become a major training organization in the Baltic and Eastern Europe region. How will the partnership work with the Canadian company? FlightPath International and APAC combine resources and expertise to provide maintenance training solutions in support of Bombardier, Boeing, Airbus and Embraer aircraft. This agreement also enlarges the number of training locations for both organizations. Is APAC considering virtual reality or any new technological training devices or techniques for maintenance training? It not, what technology, or devices such as Google Glass, do you think could best enhance maintenance training in the near future? We are considering different options for modern technologies for maintenance training. The technologies can enhance training with new experiences that trainees can get but the key is still the training outcomes. Whatever brings you better results, the better for the specialists. Where do most APAC technical students come from? Are you recruiting outside of Latvia? We have students from most European countries and many from the Middle East, Asia and CIS counties. After receiving B1 or B2 training, where do most APAC graduates work? What are the highest training demands that you are seeing? APAC is a part of TSI, a University of Applied Sciences, which is the successor of the legendary RKIIGA (Riga Institute of Civil Aviation Engineers). Its graduates work in major airlines and MROs from Latin America to Asia. The highest training demands are in basic and type training.